The Crain Tri-Max Fiberglass Tripod 90550 is one of the most stable tripods on the market today and features a kick out prevention system. 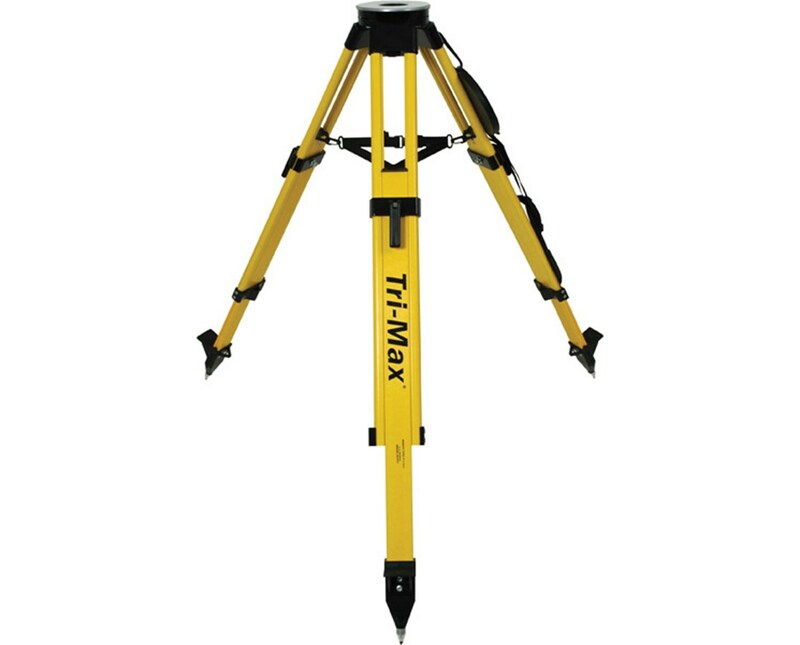 Tests have shown that the Crain Tri-Max Tripod is upwards of 100 times as stable as regular surveying tripods. It also weighs 17 lbs (7.7 kg) and holds up to 65 lbs (29.5 kg). 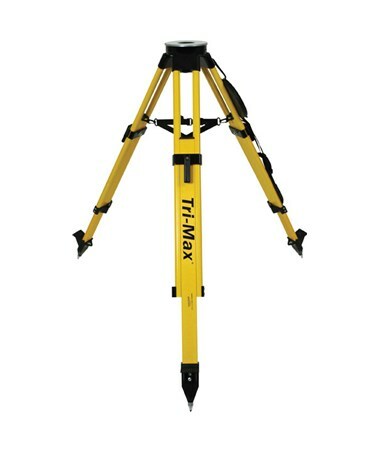 If you work in humid, moist, contaminated or windy conditions, or in extreme temperatures, then the ultra-durable Tri-Max Fiberglass Tripod is for you. Whatever your work conditions, the Crain Tri-Max Tripod 90550 offers a height range of 44-71" (1.12-1.80m). For your convenience, utility rings are featured to attach accessories, and the same can be attached to the legs, and remain there when you collapse the tripod. State-of-the-art computer-aided design and a combination of quality materials go into every Crain 90550 tripod. Unique hinge spindles allow you to rotate the extendable fiberglass tripod legs without changing the tripod's position. The Tri-Max Fiberglass Tripod is also designed to decrease creep and vibration, and its quick clamp system locks the legs firmly at the height you set. Pointed metal feet keep the tripod in place on hard, soft, uneven and wet surfaces. The Crain Tri-Max Fiberglass Tripod 90550 comes with a round head with a large center hole, a 5/8" x 11 thread and a snap cap cover. Retainer and shoulder straps come included, as does a 5-year limited warranty.